Maria Callas was born in New York City in 1923. She made her professional debut with the Royal Opera of Athens in Boccaccio, and soon won her first major role with Tosca. Eventually garnering international acclaim, Callas made her Italian opera debut at the Verona Arena in 1947, later followed by her 1954 American debut in Norma. During the 1960s, the quality and frequency of her performances waned. On September 16, 1977, Callas died in Paris of a heart attack. American opera singer Maria Callas was born Cecilia Sophia Anna Maria Kalogeropoulos in New York City on December 2, 1923, a date confirmed by the attending physician for the delivery and what is believed to be her birth certificate. 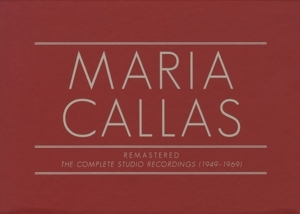 (Over the years, discrepancies and confusion have arisen concerning Callas's birth date. Callas herself, along with school records, had stated she was born on the 3rd while her mother had claimed the 4th.) Her parents, George and Evangelia, were Greek immigrants who eventually shortened their last name to Callas by the time of Maria's christening. Callas began taking classical piano lessons when she was 7 years old. Though overshadowed by her older sister Jackie, who was seen as beautiful and charismatic, Callas proved adept at singing music with dramatic flair, with her mother pushing her on to pursue a vocal career. In 1937, when Callas was a teen, her parents separated and she, her mother and her sister moved back to Greece. In Athens, Callas studied voice under Elvira de Hidalgo at a famed conservatory. As a student, Callas made her stage debut in 1939 in a school production of Cavalleria Rusticana. For her dazzling performance in the role of Santuzza, she was honored by the conservatory. In 1941, Callas made her professional debut with the Royal Opera of Athens in a modest role in Franz von Suppé's Boccaccio. Later in the year, she took on her first major role in Tosca. During World War II, Callas struggled to find roles. In the mid-1940s, she moved back to New York to spend time with her father and look for work, but experienced a number of rejections. She eventually moved to Verona, where she met rich industrialist Giovanni Meneghini. The two married n 1949. Callas's Italian opera debut took place at the Verona Arena in August 1947, in a performance of La Gioconda. Over the next few years, under the management of her husband, Callas continued to perform in Florence and Verona to critical acclaim. Though her voice captivated audiences, as her fame increased, Callas developed a reputation as a temperamental, demanding diva and was nicknamed "The Tigress." Fiercely resilient, Callas said of audience members' jeers, "Hissing from the gallery is part of the scene. It is a hazard of the battlefield. Opera is a battlefield, and it must be accepted." During the 1960s, Maria Callas's formerly stellar singing voice was discernibly faltering. Her performances grew fewer and farther between, as a result of her frequent cancellations. Though she formally retired from the stage in the early '60s, Callas made a brief return to performing with the Metropolitan Opera mid-decade. Her final operatic performance was in Tosca at Covent Garden in London on July 5, 1965, attended by Queen Mother Elizabeth. In 1969, she also appeared in the title role of the film Medea. In the early 1970s, Callas tried her hand at teaching. In '71 and '72, she conducted master classes at Juilliard in New York. Despite her failing health, Callas accompanied a friend on an international recital tour in 1973 to help him raise money for his ailing daughter. 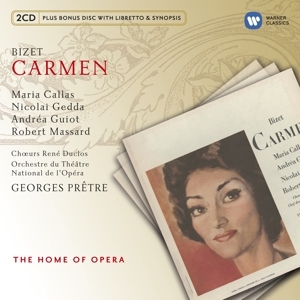 Following the tour, Callas moved to Paris, France, and became a recluse. On September 16, 1977, at the age of 55, Maria Callas died suddenly and mysteriously in her Paris home in what was believed to have been a heart attack.